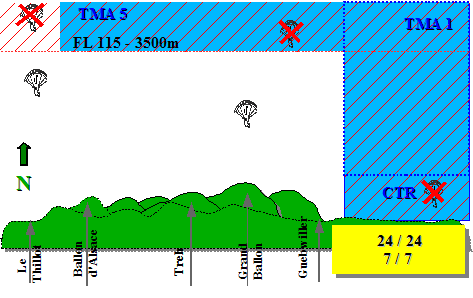 An english description of Thur valley Vosges paragliding sites is present, it's a .pdf file. 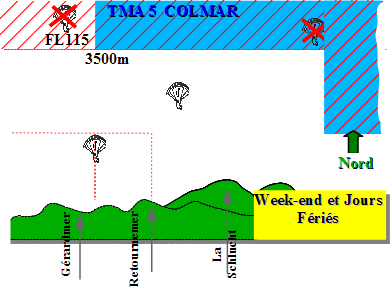 On July 18 military base of Meyenheim closed, so manyf airspace areas of Vosges and Alsace have been freed for paragliding and hanggliding. There is 2 civil airports (Bâle-Mulhouse and Strasbourg) and 2 military airports ( Luxeuil and Nancy-Ochey) near Vosges'mountains . 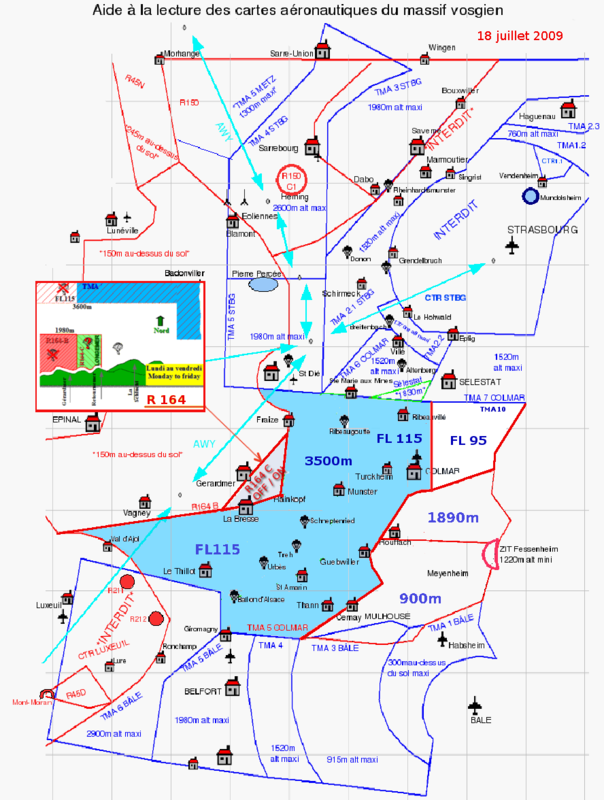 People may have difficulties to understand the airspace map :we have made a simplified sketch where civil areas are blue and military areas are red! Before paragliding or hanggliding in Vosges, you must learn those controlled airspaces. We only have a full french version of advices for reading map, see "Espace aerien". 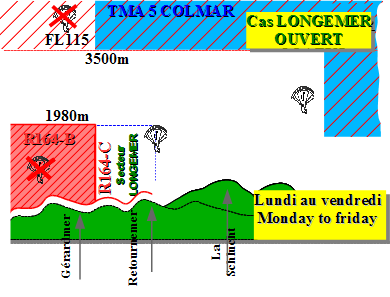 By default vertical limits of our flights above Thur valley (and south Vosges) raises to 3500 m (FL115 - VFR) every day! 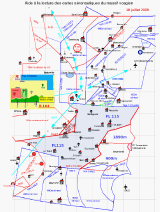 There is still the "Longemer sector" linked with R164-C, a military training airspace. Most of the time, outside week-end, paragliding or hanggliding flights are not allowed. But that can be open some days. 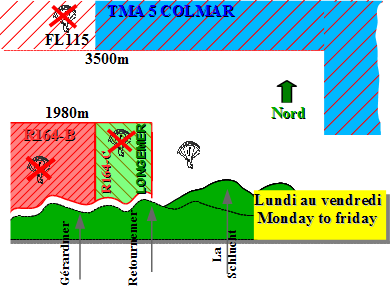 From Monday to Friday, sector state is normally set between 10.00 and 12.00. You can have access to its state by this link Etat des secteurs Vol Libre. By default sector is not open.